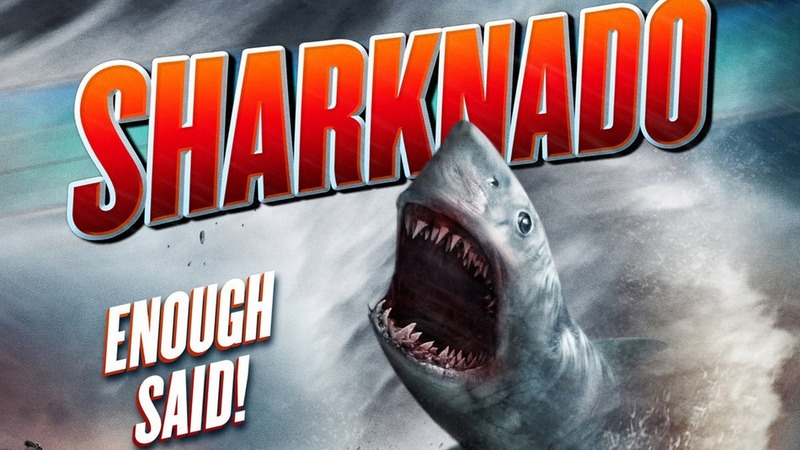 June has turned into a full on sharknado of a month … and not in the good way like when GSB and I watched it in his tiny little bed on a cold winter night … I mean in the nasty, chaotic, sharks falling from the sky to bite you in half with their razor sharp teeth way. It’s been the kind of month in which everything has stopped making sense … when sharks literally could be swimming up the streets and our only hope is for Ian Ziering (of all people) to save the day by sawing them in half with a chainsaw. I’m honestly not liking my odds. I don’t get it. I don’t understand. Literally … I am having trouble processing everything that is happening. It is too much for my little blond brain to comprehend. I hear what people are saying to me but it has stopped making sense. I am so confused. To quote my friend’s 5-year-old … “my ears hear you but I don’t know what you are saying”. What did you mean when you said all that stuff to me a few days ago? What did you mean today when you acted like that never happened? Fear of MiR’s power has me paralyzed. It is impacting the areas of my life in which I am most vulnerable and most confused – my relationship with GSB, travel, and my career. I’m afraid to make a decision. I don’t trust my instincts. I want to just stand still until the sharknado ends, until Mercury starts spinning in the proper direction, until June ends. PS (like actual post-script) … seconds after I published this … I spilled a giant glass of water all over my desk … it soaked 2 keyboards, my iPhone, and my track pad … does that count as a MiR communication irritation / mishap?